In this session, our main goal is to describe how jQuery Mobile can be used to develop a native Android application. First, we will develop a stand-alone, sample web application that will browse articles from Yahoo! 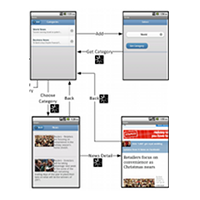 News using jQuery Mobile. Then we will convert that web application into a native Android application with minimal effort.